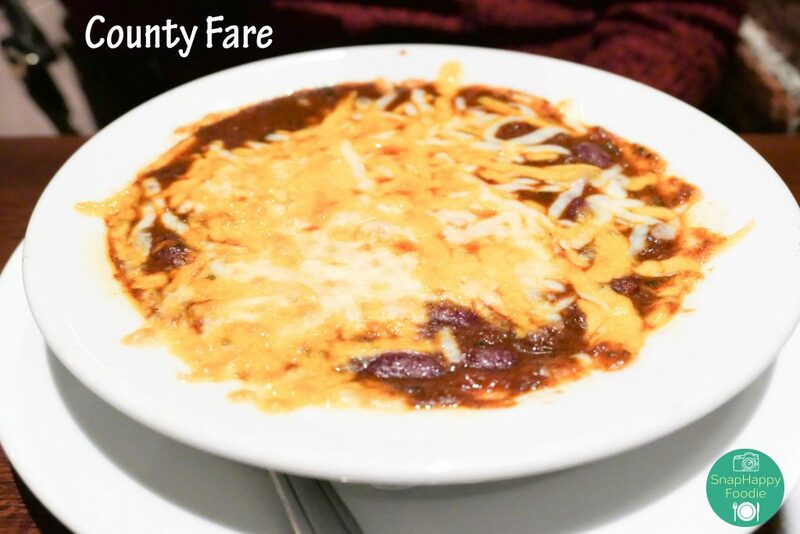 County Fare in Wappingers Falls, NY is our new discovery in Dutchess County. While my sister has been living in the area for the longest time, we never really ventured around to see what the area has to offer food-wise. Now seems a good time as any to embark on a quest and discover new food places (farms, vineyards/wineries and restaurants). 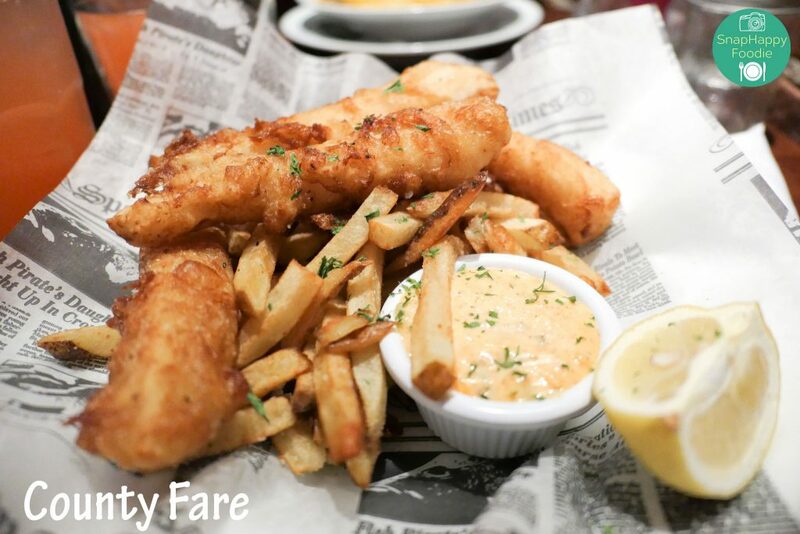 County Fare is a gastropub that serves the three Cs – comfort food, classic cocktails and craft brews. It is located in downtown Wappingers Falls within walking distance from Grinnell Library, New York State’s sixth oldest library. 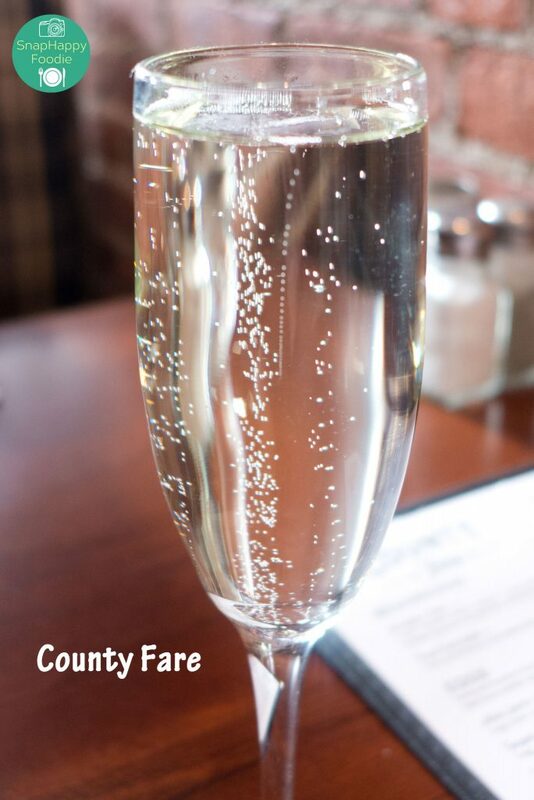 We ended up going to County Fare while searching for a place to have Sunday brunch. 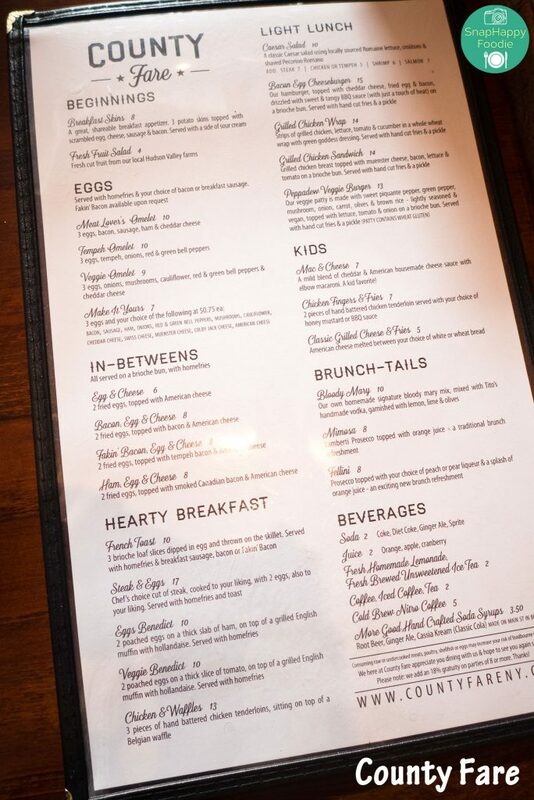 Happily, they have a pretty good selection of brunch food, as well as the usual brunch cocktails like Bloody Mary and Mimosa. I veered away from Bloody Mary and Mimosa and tried their Fellini, which was Prosecco topped with peach liqueur and a splash of orange juice. If you don’t like peach liqueur, you can have pear liqueur instead. On that day, I was in the mood for Chicken & Waffles, which they had, thank goodness! 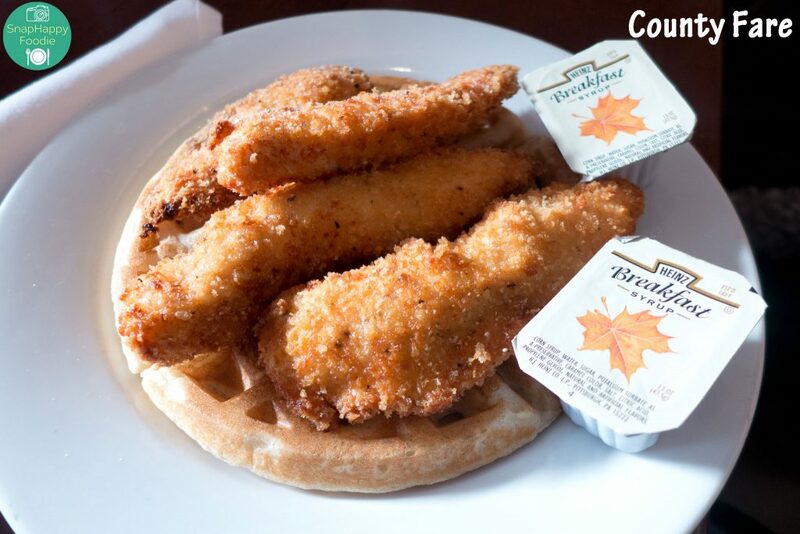 Hand-battered chicken tenderloins perched on top of a Belgian waffle waiting to be drizzled with syrup. Whoever came up with this dish is truly a genius extraordinaire. While it may seem madness to pair the two items, combining sweet and salty is a truly satisfying thing. Their Meat Lover’s Omelet is a carnivore’s dream. It came with bacon, sausage, ham, cheddar cheese and three eggs. Ron Swanson would be proud. Then again, he might want more meat to go with it. Verdict: County Fare serves up a great menu using locally-sourced food from the Hudson Valley, in addition to a well-curated craft beer, wine and cocktail menu. 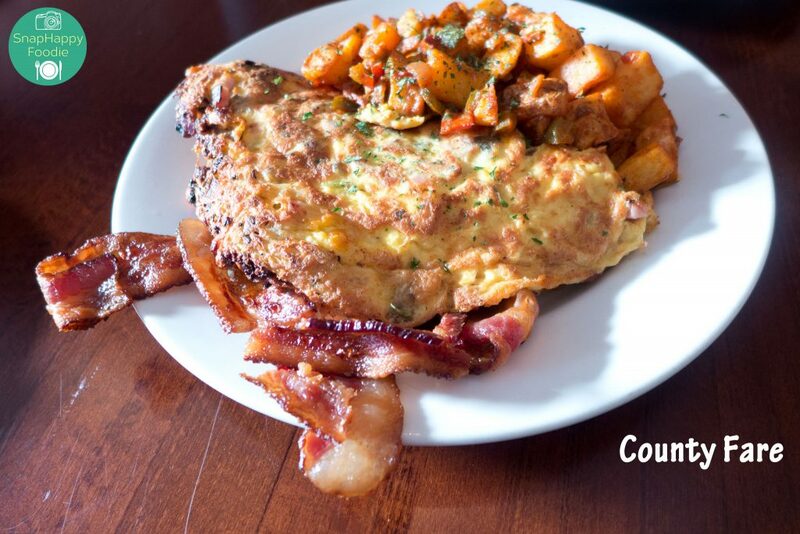 You can enjoy a hearty breakfast, a light lunch or a filling dinner in a relaxed atmosphere. Seating should not be an issue. There is a main dining area, an outdoor seating area, and a good-sized bar that you’ll immediately see upon entering the restaurant. They even have those red brick walls, giving the place that hipster restaurant vibe without going full-on hipster, which I’m totally fine with. It was a good find in downtown Wappingers Falls and definitely worth going back to, possibly for dinner next time. 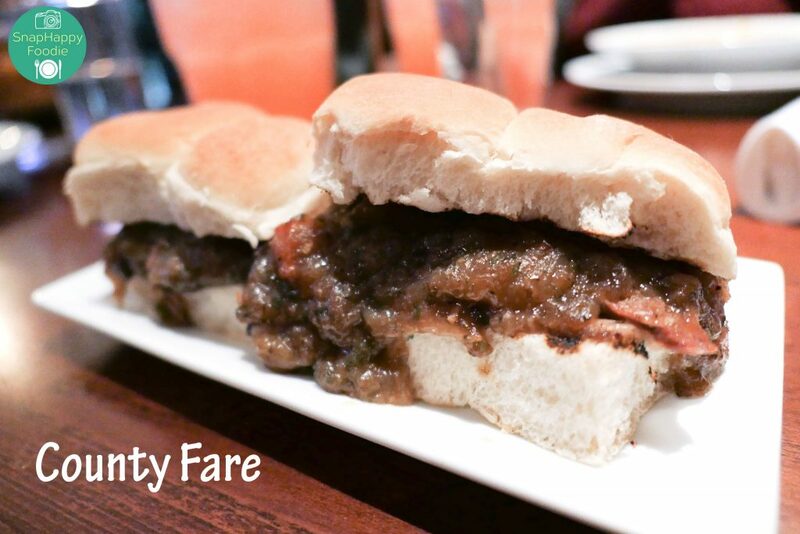 UPDATE: For the curious, we did go back to County Fare for dinner. 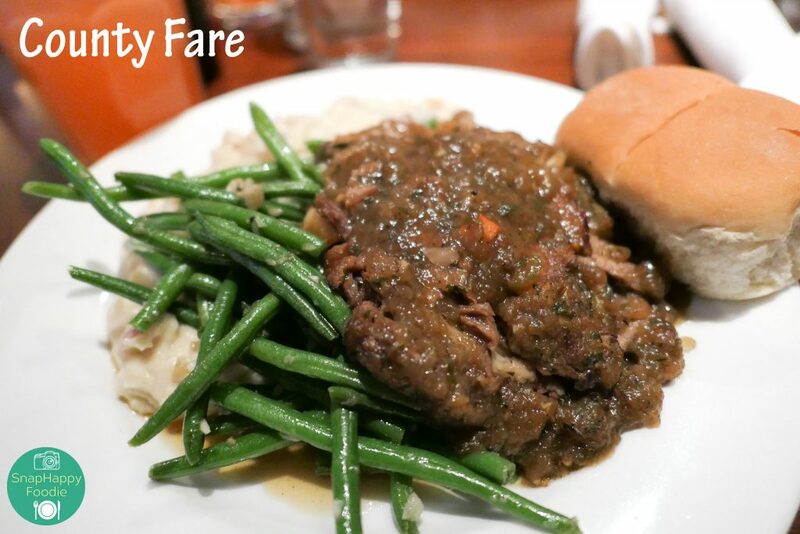 We ordered their Pot Roast Sliders, Homemade Chili, Fish & Chips, and Yankee Pot Roast. Everything was pretty good. This looks delish! And I love that they used chicken tenderloins! I’ve only had chicken & waffles with bone in chicken! Using chicken tenderloins definitely made it easier to eat! Wow I have not been to Wappinger Falls in decades. We had family that lived there so it’s full of good memories. That place looks awesome! You should visit again soon and eat!